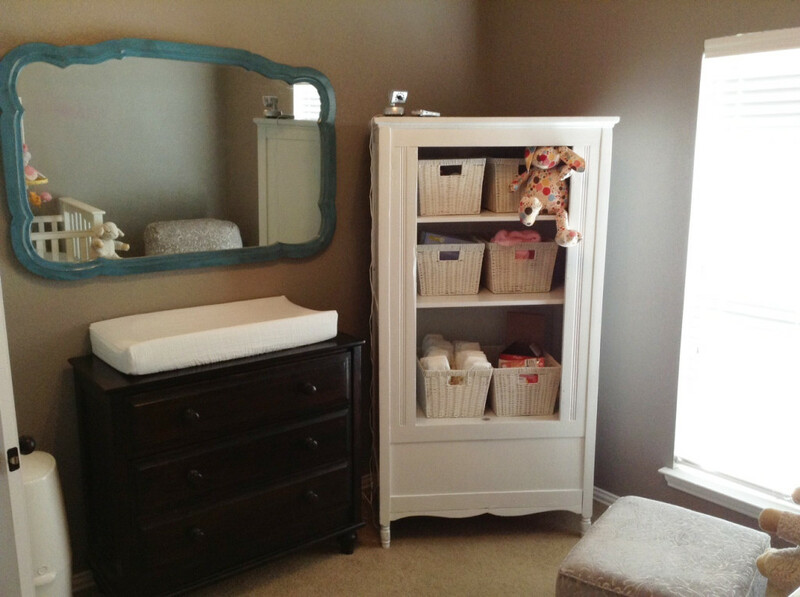 Wrenn’s Nursery – the big reveal! Holy cow, we are going to have a baby TOMORROW. Someone pinch me! It has been 239 days since we found out I was pregnant, and in ONE DAY we’re finally going to get to meet our Baby Girl. Before I get all weepy and sentimental, I thought I’d give you a quick nursery tour so you can see what Miss Wrenn is coming home to. She may not actually stay in here for a few weeks, but I figure life is about to get crazy so I wanted everything to be (mostly) ready for her. 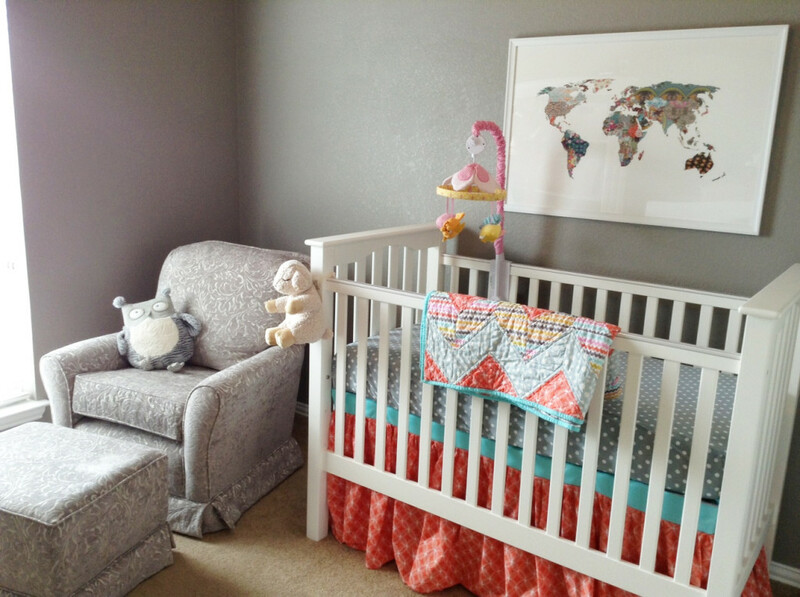 We were pretty thrifty and used mostly hand-me-down and repurposed items, so we splurged on the glider – it’s from Buy Buy Baby with a custom fabric (I don’t see it on their website, but you can find it in stores). We used a 20% off coupon which helped. The crib was FREE from Pottery Barn thanks to leftover gift certificates from our wedding two-and-a-half years ago (if you got us a gift card for our wedding – thank you!). The map picture is from Society 6 (we bought the 38″x26″ one). And the bedding – except for the sheet – was made by me. The sheet is from Target. We opted for no bumpers because (1) pediatricians now advise against them, and (2) it was one less thing to purchase or make. Score! Everything on this side of the room is repurposed. The mirror was free and came with the buffet we refinished in 2012. The dresser/changing table was a hand-me-down from my in-laws (we’re going to paint it and add funky knobs later…) and the armoire was a housewarming gift from my sisters back in 2006 that just got a fresh coat of paint, as well as some new shelves thanks to Mr. Right (including a hidden compartment at the bottom to store diapers – yea!). We still lack hanging up a few photos, an an area rug, and some curtains. But let’s be honest – most of the windows in my house are missing curtains, so Baby Girl may have to wait awhile for those. 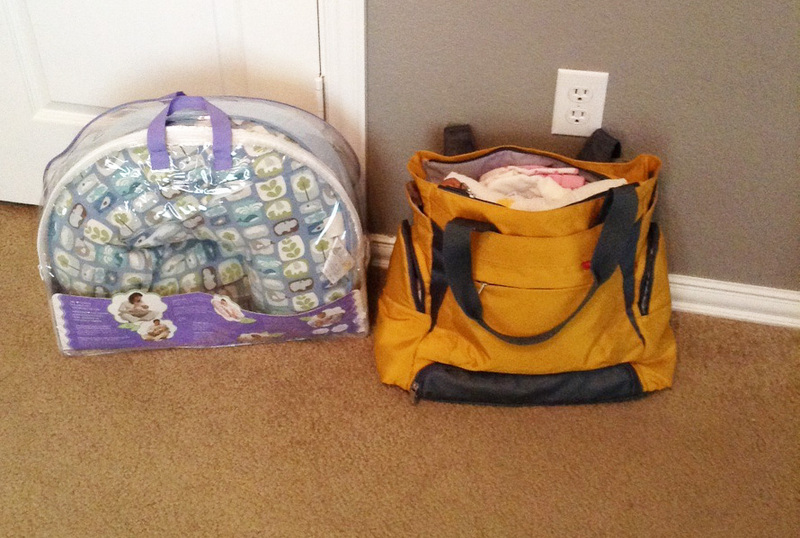 And finally – here’s Wrenn’s bag packed and ready to go to the hospital! We check in tonight and get the party started first thing in the morning. Go ahead and say a prayer (or ten) for both of us that this delivery is safe, SWIFT, and a positive experience for all three of us. See you tomorrow, Wrenn Olivia! 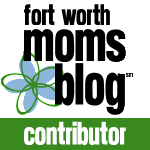 Blessings and good luck Bethe! I can’t wait for you to meet Baby Wrenn! I’m so excited for you guys! Good job on the nursery. I can’t wait to meet Wrenn! Love you Bethe! So very happy and excited for you two. I know she will be lovely just like you. Will be praying for you both. Beautiful! Tomorrow will be the party of a lifetime!!!! Praying God’s bounty of blessing on the three of you ! Praying your pain will be short and soon forgotten. Praying safety and health for you and Wren and Daddy too, would never leave him out ! Love and best wishes to each of you ! Can not wait to see pictures !